St. Paul’s Choir is an enthusiastic group of musicians who glorify God with their music each Sunday at the 10:00 service. The group consists of approximately twelve members plus director Jim Dunham and long-time organist Judy Coole. 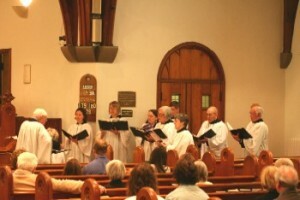 The choir assists the congregation with the responses at the “sung” liturgical services. If you can make a joyful sound and would like to glorify God with music, St. Paul’s Choir would welcome you! 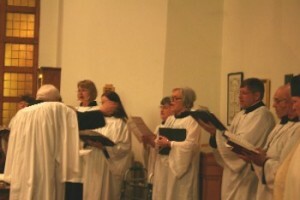 This is a “field recording” (communion music and organ) at St. Paul’s Palm Sunday, 2009. The choir singing for Easter, 2010.